Henry was pleasant professional and was able to point out potential issues.. Mccallister is the best..
Henry is the best! So knowledgeable and friendly. Answers all questions and doesn't waste time. 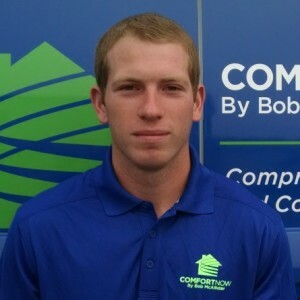 I recently contracted with Bob/McAllister/ComfortNow to maintain three homes. This week I interacted with three technicians from this company at the three houses - I was highly impressed with the level of professionalism, attention to detail, great attitudes, punctuality and expertise. 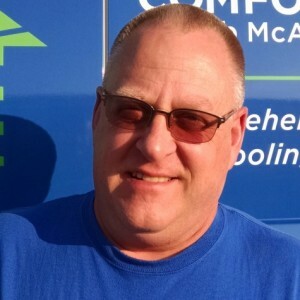 We had a new central AC installed by the team from Comfort Now by Bob McAllister. They called the morning of the installation to let me know when they would be arriving. The installation was completed in a day. They had to move items out of the attic to get to the unit and returned them when they were done. They had to create a connection to the evaporator out of sheet metal because it was shorter than the the evaporator removed. So far it all seems to be working well. Henry was great, punctual and very professional. He checked out my air-conditioner and pointed out an area in the duct work in my house that needs attention sometime in the future. He does an excellent job. Henry P was on time, very courteous, answered all my question. Henry provided great service and follow through. He even checked in with me on his day off. I’d certainly recommend McAllister for service or new installs. Excellent service from estimate thru installation. Cleaned up after themselves, efficient/clear communication at every step of the process, highly recommend Comfort Now! Converting from oil to gas for heating my home and water. Bob and Casey McAllister worked with me to coordinate with SJ Gas for a line to be run to my property, and they also helped get me qualified for added insulation in my attic to keep the heat in the house. Enrique and his crew have been on time, professional, and considerate to keep the working area clean. Five stars for Comfort Now! This is my second experience with comfort now. This job consisted of a Mitsubishi split unit for 5 bedrooms and a tankless navien water heater. Mike was the lead mechanic on both jobs. Dominic was a second timer and Enrique was a new addition. The team works great together. They are efficient, courteous and neat. Mike is a collaborative team leader and accommodated all of my concerns. All three were completely professional. We are completely satisfied with the installation and equipment selection that was guided by bob. I highly recommend comfort now. Everything from my meeting with RJ McAllister to the installation of the new heating/AC was very professional. The installation only took one day and my house was left immaculate!